The Vancouver Canucks are set to hit the ice with a new bench boss who's already cracking down on players' Twitter habits. John Tortorella, the Stanley Cup-winning former coach of the New York Rangers and the Tampa Bay Lightning, wants few distractions as he works to restore some bite to a team that has lacked it in two consecutive first-round playoff exits. He won't ban players' social media use altogether, but he wants "no information coming out of the locker-room with that damn Twitter." The new coach is a tough customer who cuts an angry figure in press conferences but he turned up the charm on his arrival in Vancouver, telling reporters about his love for the city and his passion for animal welfare. That charm is starting to fade as Tortorella gets down to business. The Canucks have also thrown in their lot with goaltender Roberto Luongo, who looked like he was on his way out of town until starter Cory Schneider was traded at the June draft. Luongo has had a volatile career in Vancouver, turning in some outstanding performances that, for a time, made him one of the top goalies in the NHL. But his playoff performances have left fans wondering which Luongo will show up for a game: the all-star goaltender who backstopped Canada to a gold medal at the 2010 Olympics, or the erratic sieve who let eight goals slide in Game 3 of the 2011 Stanley Cup Final. Ticket prices range from $57 for balcony seats to $214 for the plaza level. Season tickets are sold out but a wait list is available. You can also try Power Play Flex Packs, which allow you to build your own five-game ticket package. But if the Canucks have work to do on their postseason play, the Vancouver Giants have nowhere to go but up after coming in last in the 2012-13 season. More offense might be the answer here. The Giants have solid production out of Jackson Houck and Cain Franson, who put up 23 and 29 goals last year respectively, but that doesn't even put them in the league's top 20. The team also has some serious holes to plug on defence. The Giants let in more goals than any other WHL team last year, with goaltender Payton Lee coming out of the season with a paltry .879 save percentage, one of the worst in the league. Season tickets for the Giants are available in two packages: the best (gold seats) cost $619 and red seats are $539, and they include all 36 regular season home games. Single game tickets cost $23.50 for gold seats and $19.25 for red. Over at BC Place, the BC Lions are fighting for their seventh Grey Cup in franchise history. With eight games left in the season, the Lions are on track for a playoff spot, leading the lowly Edmonton Eskimos by 10 points in the CFL's West Division. The team has a perfect home record but they leave much to be desired away, with one win and four losses in five games. The Lions have plenty of help from former NFL players this season. Former Minnesota Vikings running back Emmanuel Arceneaux is fifth in passing yards with 633, while cornerback Cord Parks, formerly of the St. Louis Rams, is tied for first in interceptions. 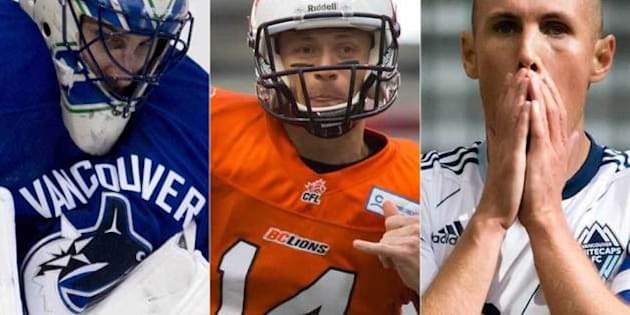 Quarterback Travis Lulay is second in the CFL with 2,569 passing yards and tied for second in touchdown passes, while running back Andrew Harris is third in rushing yards with 582. Ticket prices range from $42.75 to $126.75. Also fighting for playoff glory at BC Place are the Vancouver Whitecaps, who need to recover their spring form with seven games left. The team sits five points out of a playoff spot with some challenging games ahead against the Montreal Impact and Real Salt Lake. The 'Caps last won a game on Aug. 10, a 2-0 victory over the San Jose Earthquakes, and are winless in four games, one of them a draw against second-to-last place Chivas USA. The season's bright light has been striker Camilo Sanvezzo, who is third in MLS scoring with 14 goals. He has formed an exciting partnership with Kenny Miller and Russell Teibert, and players will look to him as the club heads into the final stretch. The 'Caps defensive corps has been lacking all season, with team captain Jay DeMerit now set to return after being out since opening day with an Achilles injury. The team also traded Alain Rochat in June to create some salary cap room, leaving capable defenders Young Pyo-Lee and Johnny Leveron to carry the load on the back end. Tickets cost anywhere between $28.25 for the rowdy supporters' section and $148.25 for a pitchside seat.